Choose from over 25 different patterns. Use a vinyl cutter to cut the designs, then heat apply with a heat press. Product not available online. Call 800.521.5255 to order. 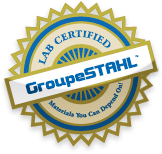 Stahls’ is the first company in the imprinted sportswear industry to have a rigorous lab certification process. This ensures the highest quality materials to meet the needs of all of your real-world applications. Depending on the material, we run tests based on these parameters: safety, durability, and performance. 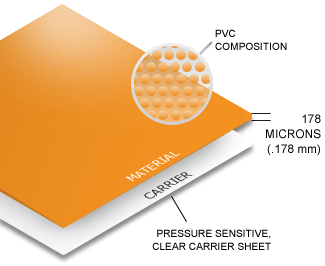 The materials are rated on a scale from 1 to 5, 5 being the highest rating. This material is made of 88 micron Poly-Urethane (PU). Store in cool, dry area. For best results, keep material away from direct sunlight, heat, and humidity. Stahls'® CAD-CUT® Direct ( http://www.cadcutdirect.com ) presents CAD-CUT® Neon, a heat press film for apparel that really stands out. Watch Josh Ellsworth customize a shirt with neon. Buy this film and others directly from the manufacturer Stahls'® CAD-CUT® Direct. In this edition of Tip Jar, http://cadcutdirect.com shows you how to customize a tank top for cheer or spirit wear using CAD-CUT ® AirFlow™ to create a unique, Special Effect. This video also uses CAD-CUT® Neon and CAD-CUT® Glitter Flake heat applied materials. Josh Ellsworth General Manager of Stahls' CAD-CUT® Direct (http://cadcutdirect.com) demonstrates some creative ways to CAD-CUT® materials to create animal patterns. Two-color layered prints, single color prints and a two-color glitter flake print that will really WOW you. Animal patterns with CAD-CUT® heat transfer materials, it doesn't get much easier then that. Full-color custom text in a variety of fonts and patterns.